Nowadays, hair loss is more common than ever. You might think it doesn’t happen to many people, but you are wrong. The reality is it can happen to anyone. Causes of hair loss can range from hormone-related problems, stress-related issues, nutrients deficiency, and much more. With that in mind, the hair growth shampoo comes in handy when you want to prevent your hair from falling, but also when you want to make sure you grow healthy and thick hair. There are two options for the best shampoo. One is a prescription, and the other is over the counter. Prescription shampoos are labeled as “anti-androgenetic”, meaning they can prevent two hormones widely associated with hair loss, testosterone, and DHT. Over the counter growth shampoos, on the other hand, contain amino acids and antioxidants that help rebuild your hair, reduce inflammation, and prevent or treat dandruff and damage. With that in mind, today, we will try to explain the hair growth cycle, talk about the important ingredients in hair growth shampoos, and much more. Stay with us. 1 What to look in a hair growth shampoo? 2 Do all hair shampoos work? What to look in a hair growth shampoo? 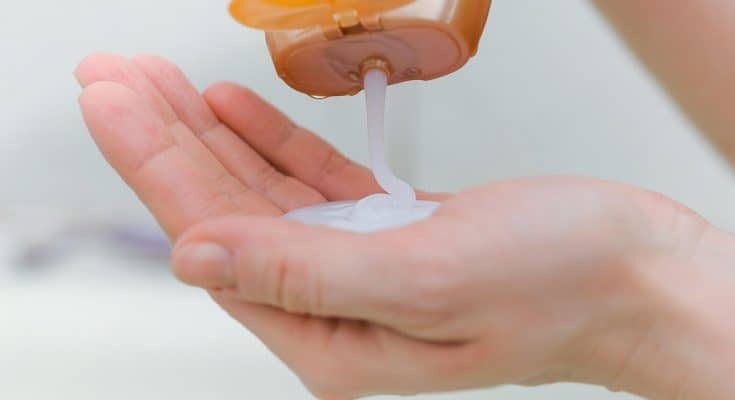 If you are looking for over the counter shampoo for hair growth, you need to look at the formula and look for ingredients like vitamin E, ginseng, amino acids, vitamin B, and more. The most important thing is that your shampoo should nourish the scalp, strengthen your hair, and make it less brittle and healthier. In the same time, you want a shampoo that will reduce oil buildup, one of the key components preventing you from growing healthy and thick hair. Do all hair shampoos work? The answer to this question is no, and that is the reason we want to help you find the best hair growth shampoo. If we are being brutally honest, not all shampoos work. Many manufacturers label their shampoos “wrongly”, just so they can get quick money and make false claims. Luckily, we have done the research for you, so that we can present you with 10 options that are effective, and come at different sizes and prices. Most importantly, it is important to understand the cause for hair loss, so that you can prevent it from falling. And at the same time, make something about it by applying shampoo for hair growth. Growing thick and healthy hair is a complicated process. It is not something you can achieve just by washing your hair with a new shampoo. You also have to make some lifestyle changes that will improve the overall health of your body, and the health of your hair. With that in mind, here are some changes you should consider making. Before we get to the best hair growth shampoo, we have to understand how fast your hair grows naturally. To understand how the hair grows, we have to look at its two main parts, those hair follicles, and hair shaft. The shaft grows from the follicle, which is the root of the hair located just beneath your skin. On average, there are 100,000 hair follicles on the scalp alone and five million on the body. Hair grows naturally about half an inch per month, and faster in the summer months than in the winter months. On average, you can grow up to six inches per year. However, not all of the hair follicles are growing new hair at the same time. The hair growth process is a cycle. Here are all the phases explained. This is the most important phase for hair growth. It is the first part of the hair growth cycle, and during this phase, the cells of the bulb divide rapidly, resulting in new hair growth. At any given time, between 80% and 90% of your hair is in the anagen phase. This phase can last between two and seven years, and the length of the phase can determine the maximum length of your hair. In other words, if you have long hair, you probably have long anagen phase. After your hair grows, it goes into the catagen phase. This is a short and transitional phase that can last only two to three weeks. During this phase, your hair stops growing, and detaches from the blood supply. In this phase, what detaches from the blood supply is known as a club hair. The third phase is when your club hair rests, while a new hair grows beneath it. New hair takes over the place of the club hair eventually. This phase can last up to three months, and between 10% and 15% of all hair is in this phase at any given time. The last phase of the hair growth cycle is when your hair starts to fall. Your resting club hair detaches and falls out. Remember, it is completely normal to lose between 50 to 100 hairs on a daily basis. Every hair eventually sheds. This phase is responsible for all the hairs in the shower drain or on the hairbrush. After this phase, your hair follicle returns to the anagen phase, and the cycle repeats. The trick with improving hair growth is prolonging the anagen phase. In other words, the longer your hair grows, the thicker and healthier it will be. When you have a product you can get in any drugstore, and it is recommended by celebrity stylists, you go for it. 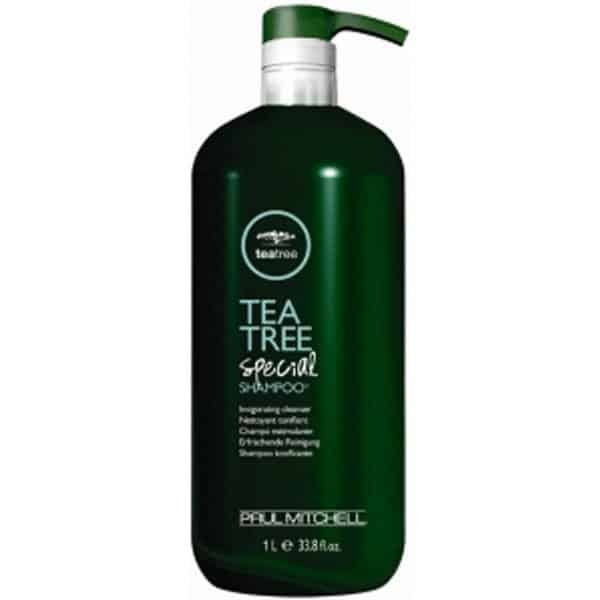 In this case, one of the best shampoos for hair growth products has all you need. 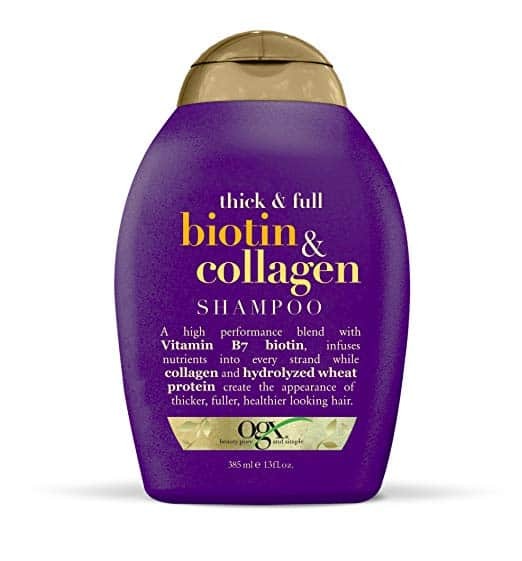 With high amounts of collagen and b​iotin, the shampoo will improve the strength of your hair, give your brittle hair new life, and enhance hair growth. In addition, it has anti-inflammatory and anti-dandruff properties. 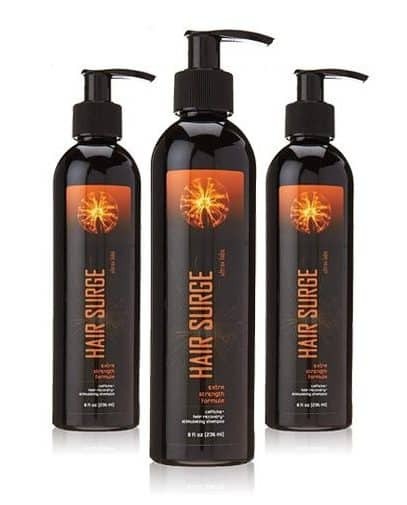 Most importantly, the shampoo is sulfate-free and less drying than regular hair growth shampoos. If you can afford to pay a little more for a hair growth shampoo, this is a product worth spending on. Since being introduced on the market in 2016, the Ultrax shampoo has garnered serious attention. It was even rated as the best shampoo for hair regrowth in 2016. Works on both men and women. Formulated to maintain the active ingredient on your scalp until it is fully absorbed. The three key ingredients are sawed palmetto, ketoconazole, and caffeine. And if you remember, those are three of the four we recommended looking in the best hair growth shampoo. Made with naturally derived ingredients, this is as organic as you can find. Formulated to encourage hair growth, but also nourish your hair from within. Works by rejuvenating hair follicles. Gentle on your hair, this shampoo contains no parabens and sulfates that can weigh your hair down. The best part about the shampoo is made in the USA. 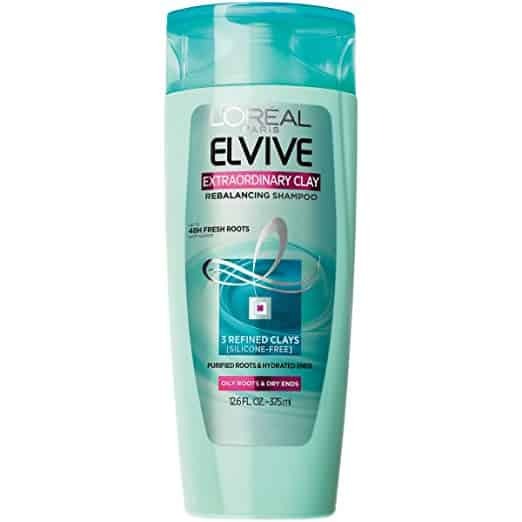 If you are on a budget, and you want to try something that might work, we recommend this product by L’Oreal. The beauty company has a long tradition of producing quality products, and this shampoo is no exception. With a clay-infused formula, the shampoo will hydrate your hair roots, cleanse them, and allow for fresh new and clean hair growth. 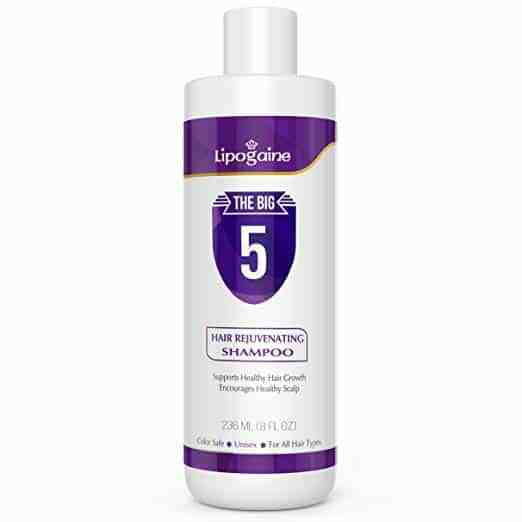 The shampoo contains DHT blockers that can prevent damage and hair loss. Formulated with Argan oil, aloe vera, burdock root, rosemary, thyme, and other natural ingredients that stimulate hair growth. 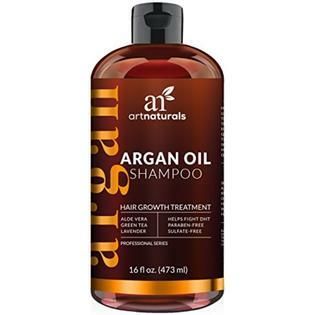 Natural and organic, this shampoo will also add volume and shine to your thinning hair. You can notice first results within just two weeks. Look at the label, and you will see biotin, caffeine, saw palmetto, but also common natural ingredients for hair growth like castor oil and Argan oil. Works by strengthening your hair and preventing breakage. Works for both men and women, and you can even safely use it on color-treated hair. The company promises money-back guarantee if you are not satisfied with the results. The biggest downside of this shampoo is that it is designed to work for women only. 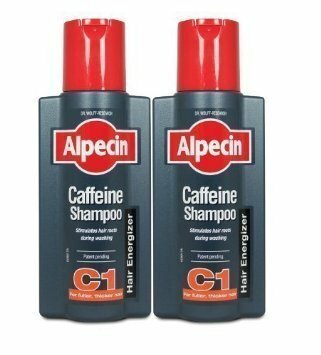 Sadly, men cannot get their hands on this amazing shampoo that can stop and prevent hair loss and baldness. Contains one of the best ingredients for hair growth, 2% ketoconazole. The shampoo can penetrate the scalp, reactivate hair follicles, and allow hair regrowth and hair thickening. 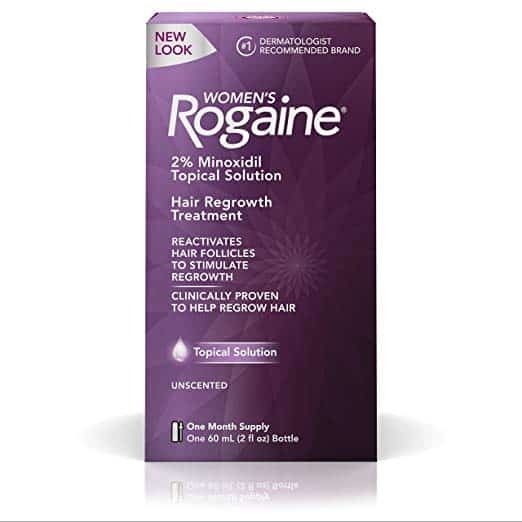 Great for use during the early stages of hair thinning. Relatively cheap shampoo for one delivering natural ingredients. 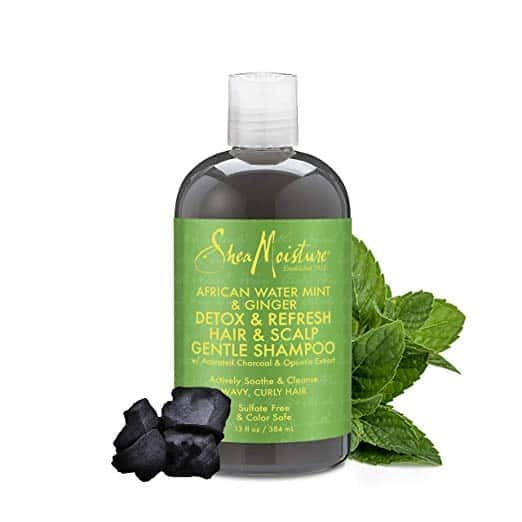 Made with ginger extract, activated charcoal, and African water mint, this shampoo can hydrate and soothe your hair and scalp. Designed for wavy and curly hair. There are no sulfates or artificial colors in the formula. Simply apply to wet hair, and work into a rich lather. Rinse, and use on a daily basis to improve the thickness of your hair. Some shampoos work by just cleansing and clearing your hair. Tea tree oil is known for its antimicrobial, antifungal, and cleansing properties. Can help clear all of the buildups in your pores and hair follicles, and encourage healthy hair growth. Your hair is left full of vitality and luster. The smell is great, as it is made with essential oils. It contains caffeine, so some might say it is safe for women to use it as well. But that is on your own risk. 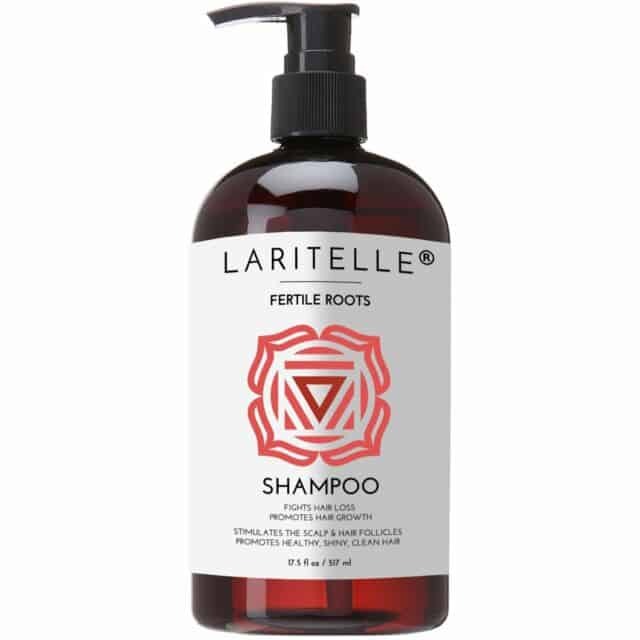 The shampoo works by reducing DHT, stimulating hair growth directly from the roots, and helping hair follicles grow faster. You can also use it for treating any other scalp-related issues like dandruff and itchy scalp.